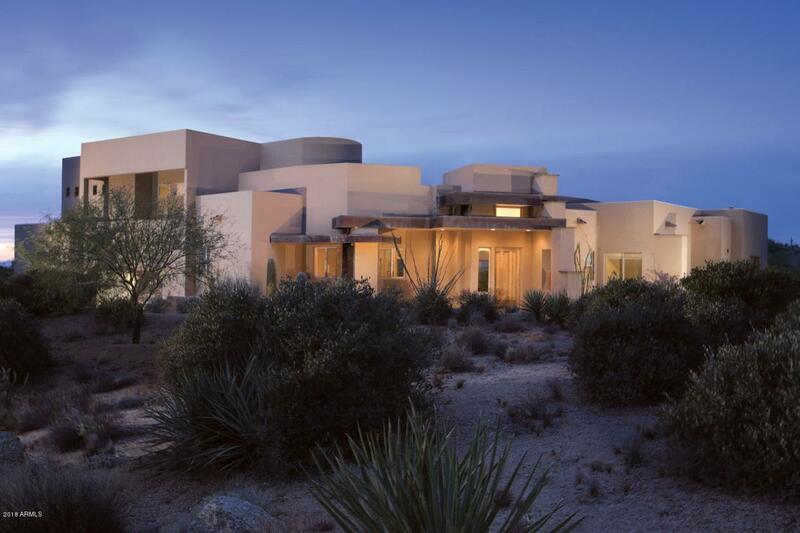 This beautiful soft contemporary home sits ON 1.6 ACRES overlooking spectacular mountain and sunset views. The energy efficient GREEN E-CRETE BLOCK NON-WOOD CONSTRUCTION added $60,000 to its cost. The home includes 3 bedrooms plus a den, 2.5 baths, a Gourmet kitchen with Subzero fridge and high end appliances overlooking the Great room with fireplace and dining area. Travertine floors and granite and limestone counters. The powder room is a Kohler Design Studio replica. SOLAR HEATED NEGATIVE EDGE POOL, covered patio w/fireplace. The epoxy coated 3 car garage will hold up to 5 cars tandem.